Do you have some interesting Phuket Travel Stories that you would like to share? We would love to hear about your travels throughout Phuket. Everyone's holiday experience is slightly different and although you may walk the same road, swim at the same beach, shop in the same markets, drink at the same bar or take part in the same activities, we all have an individual story to tell. 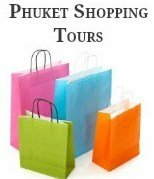 If you have a special Phuket story you would like to tell we would love to hear about it. 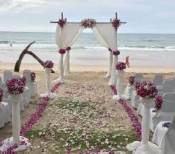 Your story can be about anything that made your holiday to Phuket memorable. This is a fun way to share your story and pictures with other visitors to this site. Your contribution will be posted on a new page and accredited to you if you choose... or anonymous if you prefer. You can also add images if you would like to share some pictures of your travels in Phuket. Have you travelled to Phuket? We invite you to share your travel experience and share your travel tips.